Tweet Treats: "I declare Tweet Treats to be launched!" Tweettreats is a project to collect 140 character Twitter recipes, with the aim of compiling them into a book. All proceeds of this book will go to Médecins Sans Frontières (Doctors without Borders). Three and a half years ago I became vegetarian. Three and a half weeks ago, anticipating a certain health diagnosis at any time, I also gave up all added sugar in my diet. My mother is of a certain generation and, although a very good cook, struggles to know what to offer guests with specific dietary restrictions. She once had a vegetarian and a coeliac for dinner at the same time, and nearly lost her reason! So, the idea for this blog was born. Every recipe that features here will be vegan (and, obviously, vegetarian), gluten free, sugar free, lactose and dairy free, and suitable for people on a low sodium diet. That's right, you read that correctly. Even if you have guests with each of these restrictions coming to the same meal, everything here is safe for them. And, before you expect weird and wonderful ingredients to make an appearance, everything I'm using can be bought in larger branches of all major supermarkets - you don't even need to visit health food stores. Try the recipes and tell me what you think! So What's This Tweet Treats Thingy All About? Watch the brilliant 30 second trailer below and all will become clear! 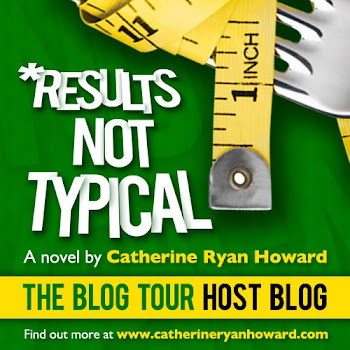 Tweet Treats Trailer from Catherine Ryan Howard on Vimeo. "I declare Tweet Treats to be launched!" 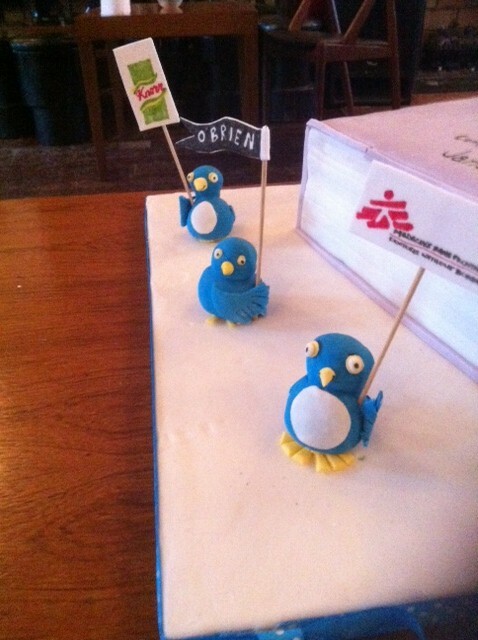 Those were the immortal words of @patomahony1 in the Odessa Club last night as The O'Brien Press, Medecins sans Frontieres, friends, family and I celebrated the launch of Tweet Treats. It was a fantastic night, I thoroughly enjoyed myself and hope everyone who attended did too. However, they say that a picture speaks a thousand words, so feast your eyes on the fab pics that Alan from MSF took last night. Today's stop on the blog tour is at @derekf03's blog here and the fantastic @alisonwells has devoted her weekly Tuesday Interview to the book here. So wonderful to see this come true! Congrats, Jane! @destravers - One of four authors of United Nations Fact Finding Mission on the Gaza Conflict, or "Goldstone Report"
@brit_battleaxe - Television presenter, journalist and self-styled "Media Butterfly"
@maggiephilbin - BBC journalist specialising in technology - Tomorrow's World! @zoetyler - Vocal trainer and "Loose Woman"
@xJennaLeighx - Actress and singer best known for her roles in Sabrina the Teenage Witch and onstage in Wicked. @LeighFrancis - English comedy performer. He is most famous for his comedy series Bo' Selecta! @JaneWenhamJones - Author of Wannabe a Writer? @keris - Keris Stainton, Author of Della Says: OMG! @literaticat - Jennifer Laughran, Literary Agent with Andrea Brown Lit. @richardwiles - Author of Bon Courage! Last Day of The Tweet Treats Blog Tour! Flying High - And Down To Earth With A Bump!